Friendswood, Texas residents are you experiencing a toothache, a tooth that throbs and is constantly telling you something is wrong? Do you have a tooth that hurts when you drink hot or cold liquids? 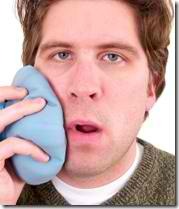 Do you have a tooth that hurts when you chew?Toothaches and tooth pain is miserable. Call Dr. Michael Nugent at 713-841-8261 to be seen quickly and receive compassionate care. Dr. Nugent is a favorite of patient and referring doctors. Dr. Nugent has been awarded BEST PASADENA TEXAS DENTIST in 2010 and 2011 by the Pasadena Texas Citizen newspaper. Dr. Nugent is a General Dentist with a strong passion for Cosmetic Dentistry, Dental Implant Dentistry and Sedation Dentistry. Let Dr. Nugent’s skill and knowledge help you get out of pain. Dr. Nugent cannot prescribe pain medications until you are a patient and have had an exam. Toothaches can arise from decay, a cracked tooth, exposed tooth root, and periodontal disease (gum disease). Problems with the jaw-joint can cause referred pain to the teeth. Dr. Nugent will examine your painful teeth. A digital X-ray is taken of the offending area. Dr. Nugent will determine the status of the tooth’s nerve tissue and check for cracked teeth. Once his examine is over, Dr. Nugent will discuss the cause of your pain and how to fix the problem. Getting you out of pain is our top priority. 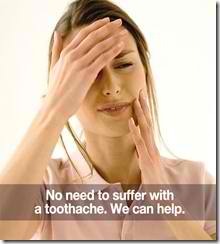 If you are experiencing dental pain call 713-941-8261 and we will work you into Dr. Nugent’s schedule. Tooth pain is miserable. Dr. Nugent budgets time throughout his day to see dental emergencies. Please remember, Dr. Nugent CANNOT legally prescribe pain medication or antibiotics unless you have been seen by Dr. Nugent. If you are experiencing dental pain in the evening or nighttime and you are not a Patient of Dr. Nugent then take over the counter pain medications and call Dr. Nugent’s office first thing in the morning. Don’t let a toothache continue to cause you misery—come see us! Take control of your dental healthy and partner with Dr. Nugent to create a happy and healthy mouth.Dr. Nugent is a cutting-edge dentist that has been recognized for his outstanding clinical skills. Dr. Nugent’s office is located at 3421 Burke Rd, Ste A, Pasadena, Texas. Dr. Nugent helps patients from Pasadena, Deer Park, La Porte, League City, Clear Lake, Pearland, Friendswood, Webster and Houston Texas.